The one-sided form on thin paper. 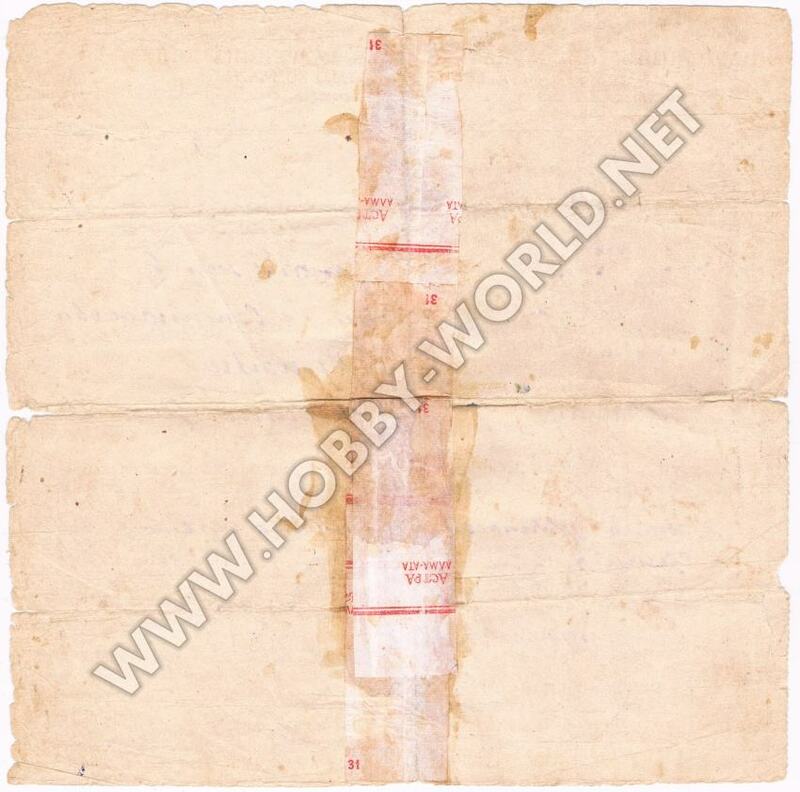 The size of certificate is ≈ 19,5 cm x 19,5 cm, without watermarks. All inscriptions are made in Russian and Crimean Tatar languages. The certificate contains information about newlyweds, including names before and after marriage, the date of the marriage and the location of the marriage registration. The one-sided form on thin paper. The size of certificate is ≈ 19,2 cm x 19,2 cm, without watermarks. All inscriptions are made in Russian and Bashkir languages. The certificate contains information about newlyweds, including names before and after marriage, the date of the marriage and the location of the marriage registration. The one-sided form on thin paper. The size of certificate is ≈ 20 cm x 20,8 cm, without watermarks. All inscriptions are made in Russian and Turkmen languages. The certificate contains information about newlyweds, including names before and after marriage, the date of the marriage and the location of the marriage registration. The one-sided form on thin paper. The size of certificate is ≈ 18,8 cm x 20 cm, without watermarks. All inscriptions are made in Russian and Ossetian languages. The certificate contains information about newlyweds, including names before and after marriage, the date of the marriage and the location of the marriage registration. The one-sided form on thin paper. The size of certificate is ≈ 19,8 cm x 20,2 cm, without watermarks. All inscriptions are made in Russian and Estonian languages. The certificate contains information about newlyweds, including names before and after marriage, the date of the marriage and the location of the marriage registration. The one-sided form on thin paper. The size of certificate is ≈ 19,5 cm x 20,5 cm, without watermarks. All inscriptions are made in Russian and Chuvash languages. 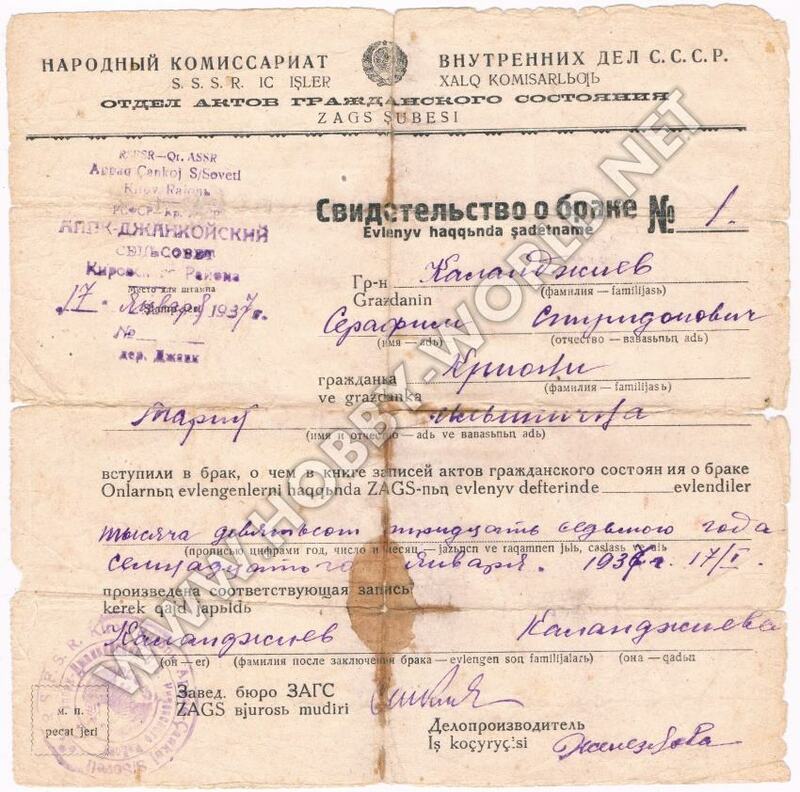 The certificate contains information about newlyweds, including names before and after marriage, the date of the marriage and the location of the marriage registration.